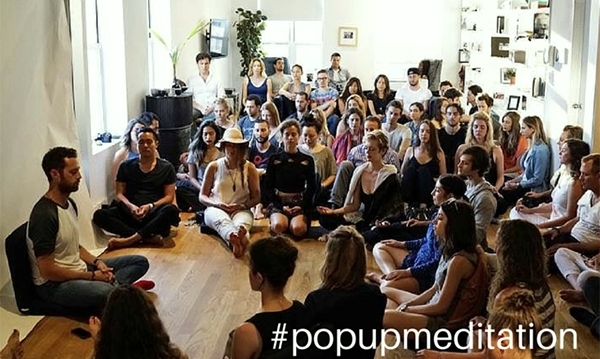 Fancy a new way of experiencing meditation? Meditation is an amazing secret weapon and everyone has the power to meditate. It DOESN'T require hours under a banyan tree. In fact it doesn't require a yoga studio, or a retreat centre either. It only requires one thing: SHOWING UP. Halo Meditation is dedicated to sparking curiosity about mindfulness, to be simple and accessible. The spaces/venues are of great beauty to invoke a kind of magic and elicit joy. Having an awareness of our minds and bodies empowers us to make better choices for ourselves to lead richer, happier lives. People of any background or age are welcome. No knowledge or experience is necessary. Come along and find out what it's all about in a relaxed, accepting and non-judgemental environment. Be calm, collected and in the moment. It’s the best gift you could possibly give to yourself.